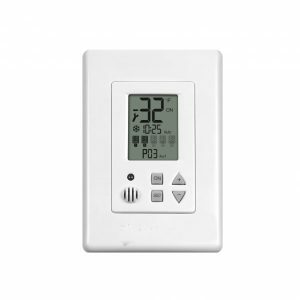 The ultimate “All in One” Snow Sensor & Controller for light commercial and residential use. A “Plug and Play” controlled for frost protection, ice and snow melt applications. For use with a high demand system on a regular or limited power supply source. Automatic control and power distribution for de-icing and snow melting. For use with a high demand system on a regular or limited power supply source. 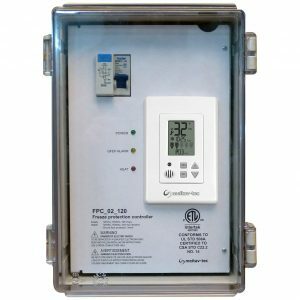 Freeze Protection Controller and a Power panel for heat tracing, ice and snow melt applications. 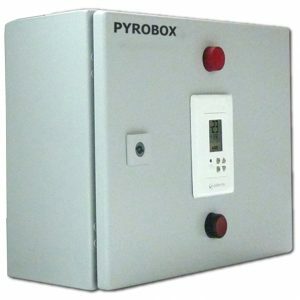 Optional wall mounted indoor manual controller for the SnowFree Snow Melt System. 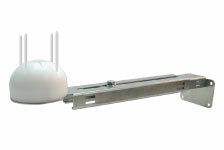 Electronic snow and ice sensor. 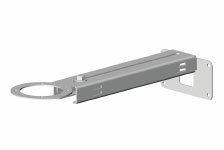 Wall Mounted, adjustable (14.7"-23.6") rust free metal bracket. 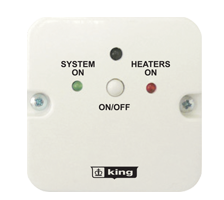 Automatic controlling device for snow/ice melting & de-icing protection. 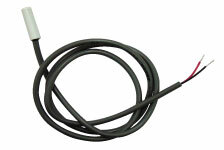 Upper limit temperature sensor, installed under the surface & measures the ground temperature. © 2019 King Electric All rights reserved. Website by All Pro Webworks, LLC.